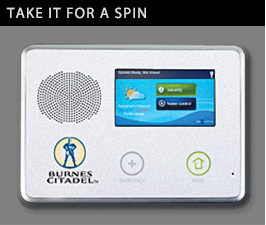 To protect your home, family, and business more effectively, turn to Burnes Citadel Security. At Burnes Citadel, we can provide you with customized life safety services, security equipment, and alarm systems that will improve your safety and simplify your life while at the same time saving you time and money. What makes us better than the other security solutions providers in St. Louis? Since our company was founded over forty years ago, Burnes Citadel Security has stayed at the forefront of the security industry when it comes to providing innovative life safety products and security systems. We provide a full-range of residential and commercial security services in St. Louis. For your home, we have a host of security products available such as our intrusion detection system, video surveillance, and Smart Home Technology. For your business, we have a full suite of products to protect your establishment and employees such as our intrusion detection devices, video surveillance, and access control systems. Call us today at 314.771.7275 to learn more about our security and alarm systems! Today, more and more people heavily rely on the convenience of smartphones, mobile apps, and interactive communications to simplify every aspect of their lives—and that includes home security and business protection. This is why Burnes Citadel offers innovative alarm systems that are in sync with today’s mobile lifestyle. For example, by incorporating the latest wireless technology, Burnes Citadel gives you the power to control and monitor your security alarm systems from anywhere just by using your smartphone, tablet, or any other mobile device as long as you have an Internet connection. By using our advanced Smart Home Technology, you are kept constantly aware and updated with what’s happening in your home and around your property, wherever you are. This product also gives you complete remote control of your alarm systems, door locks, and interior/exterior lighting. 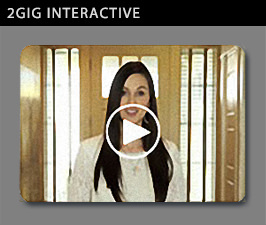 You can also review live video surveillance, get real-time activity alerts, and so much more! See for Yourself How Our Alarm Systems Work! Flexibility and efficiency are just some of the advantages you gain by using our products. We also provide exceptional customer support and unparalleled responsiveness. Finally, you get peace of mind that comes with the knowledge that you can check in on your family, your home, and your business no matter where you are. Burnes Citadel is your smartest choice when it comes to protecting your family and assets. For more information on how we can help you improve your home and business’ security and safety with our alarm systems, please call us today at 314.771.7275 and ask for our FREE security survey and risk assessment of your home or business.